After a rather grisly start to the week with zombies and serial killers, Daily Billboard thought we should lighten the mood a little with an animated Disney tale about a reanimated dog. Wait, what? 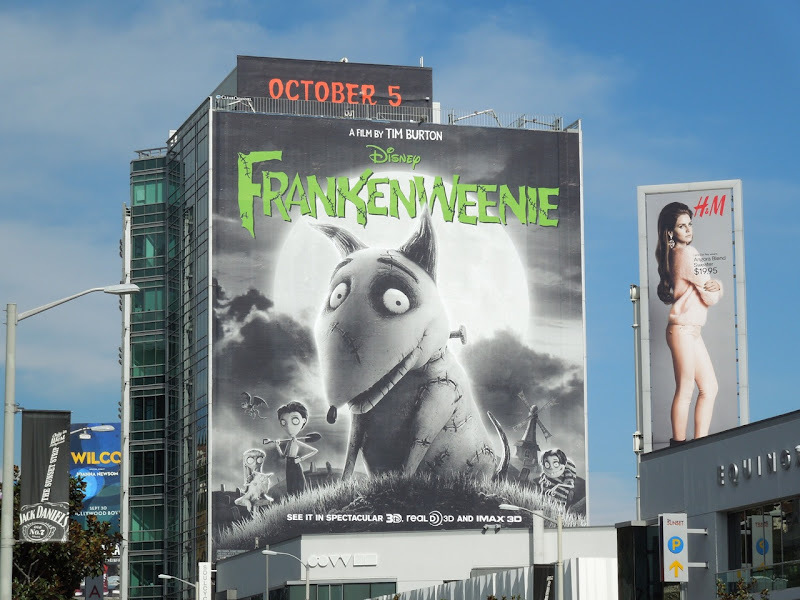 Frankenweenie is the latest creation from the mind of Tim Burton and it really does have his stamp all over the stop-motion film. 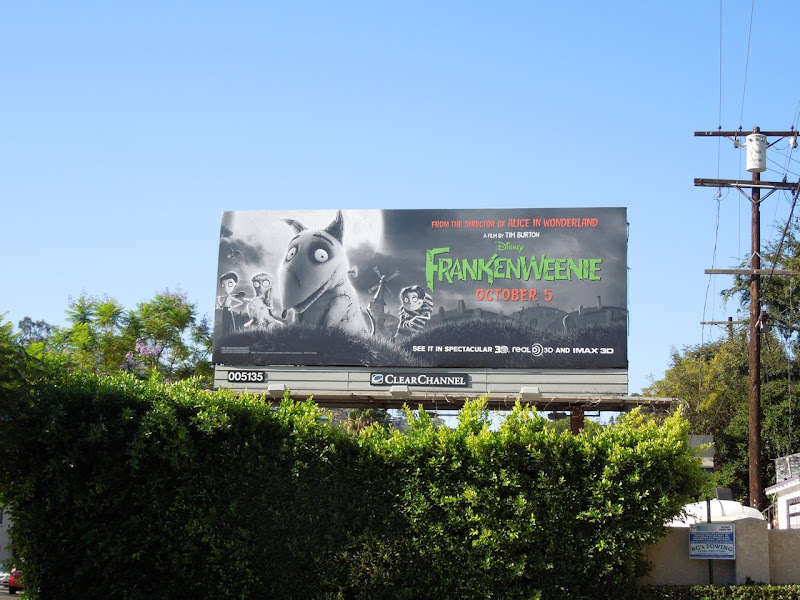 In fact it's a remake of his 1984 short film of the same name and is a parody and homage to the classic Frankenstein monster movies. 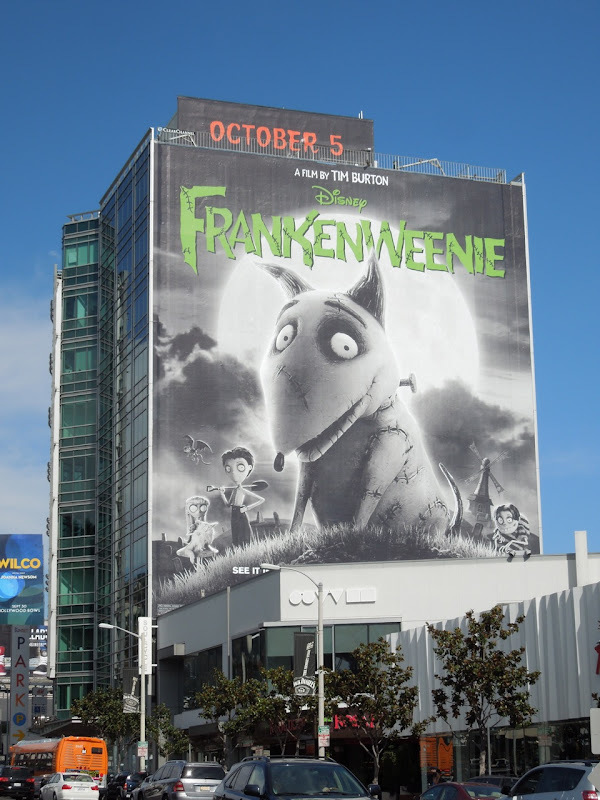 When 'Victor Frankenstein's' dog 'Sparky' is hit by a car, the enterprising youth with a familiar name decides to bring his loyal companion back from the dead with a few new modifications, like bolts in his neck. 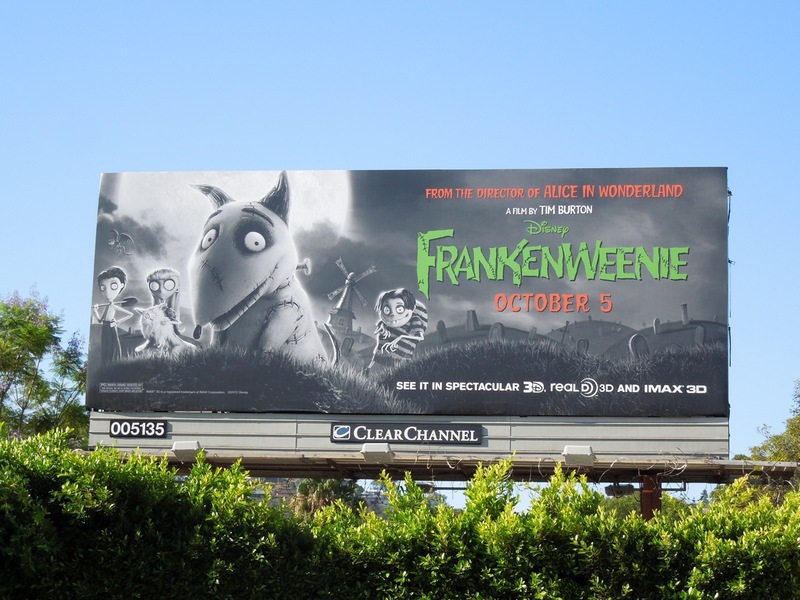 It doesn't exactly sound like a Disney fairytale and Daily Billboard wonders how many children will enjoy a film entirely in black and white, but as Halloween is fast approaching maybe the little horrors will be charmed by this unusual tale. 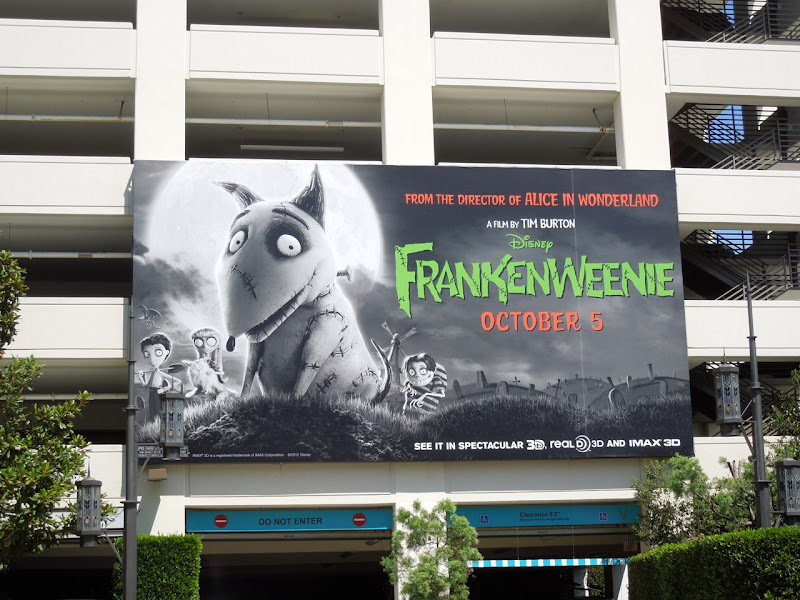 This super-sized movie for Frankenweenie was snapped along L.A.'s Sunset Plaza on September 22, whilst the landscape billboards featuring 'Sparky' the bull terrier were spotted along Barham Boulevard and at The Grove shopping centre at the beginning of September. 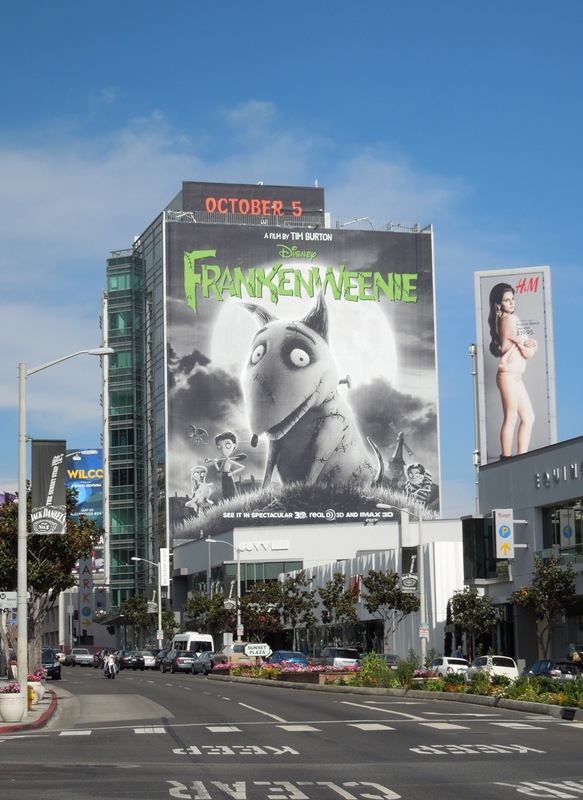 The other ad creative showcasing some of the other characters in the movie was spied atop Santa Monica Place shopping centre on September 8, 2012. 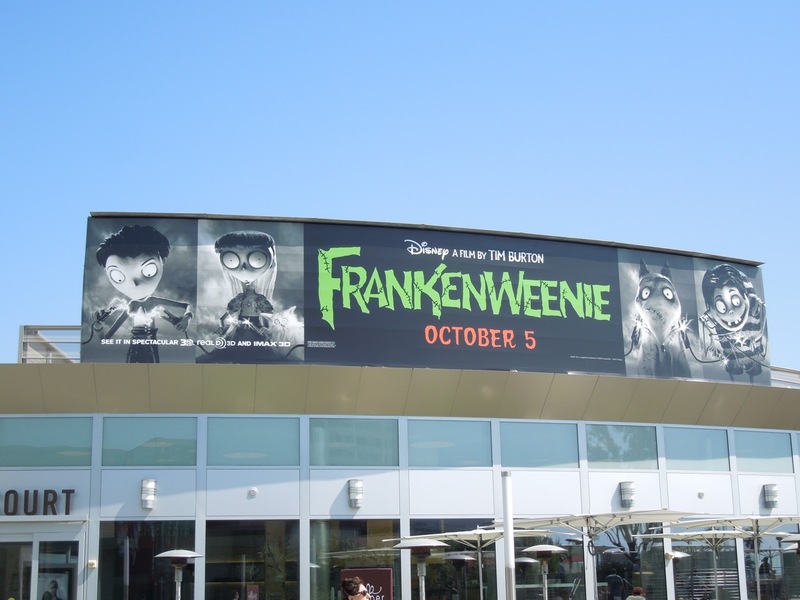 If you're a fan of Tim Burton or just love stop-motion animation, be sure to also check out these production maquettes and actual stop-motion puppets used in Frankenweenie on display.